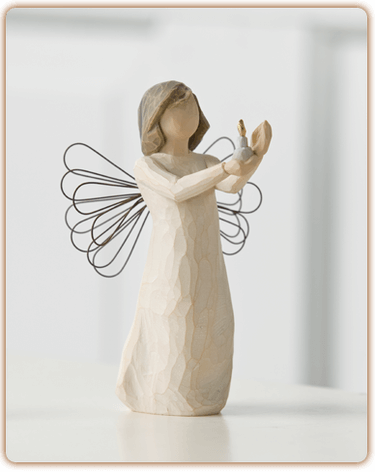 The Gift Shop at Ace of Gray has a great supply of Willow Tree angels. 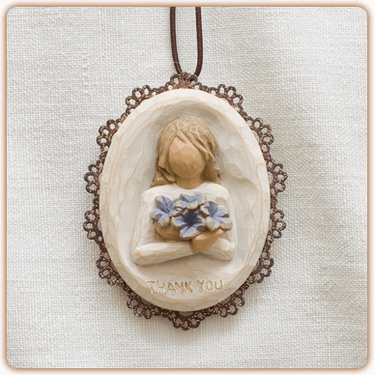 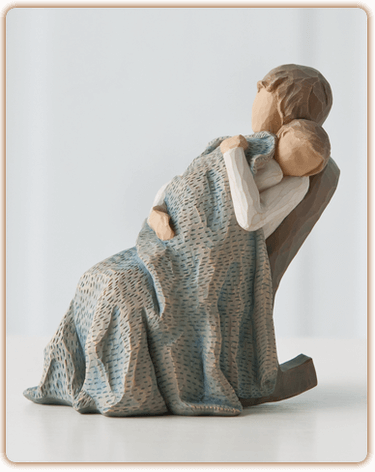 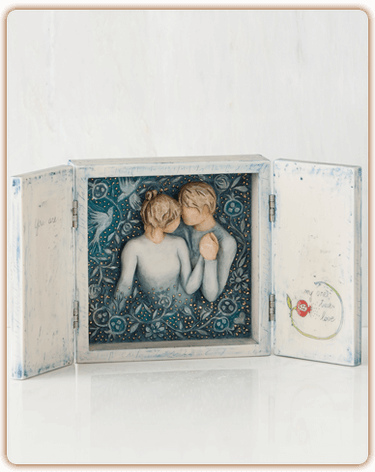 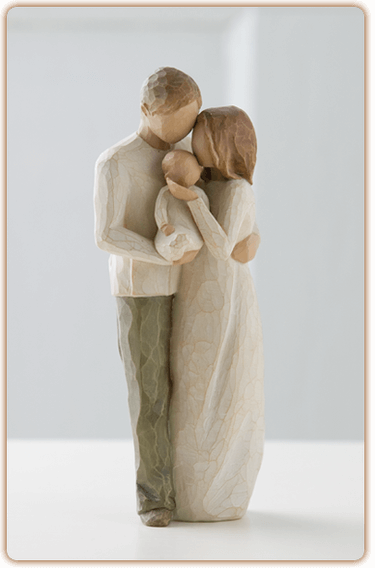 These handcrafted items are the perfect sentimental gift for your loved ones. 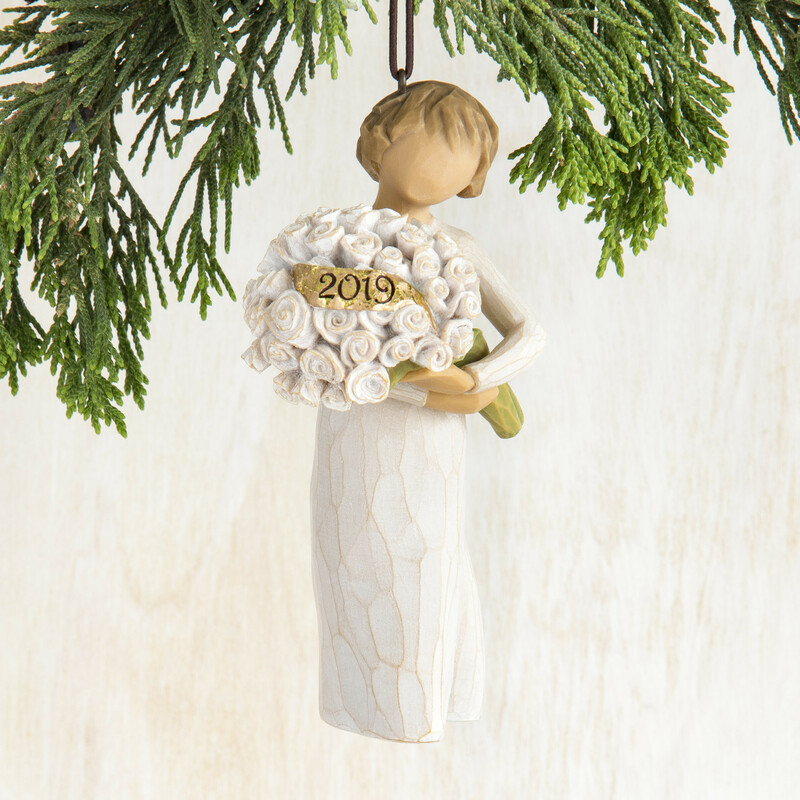 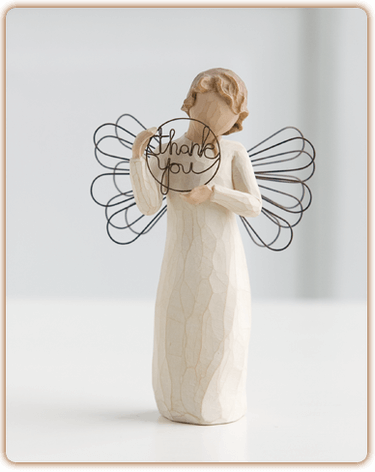 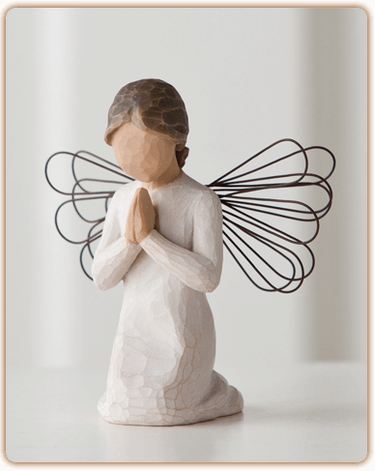 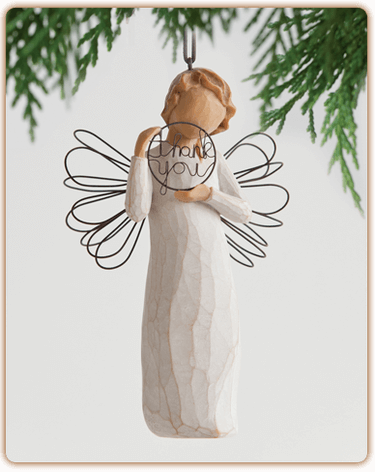 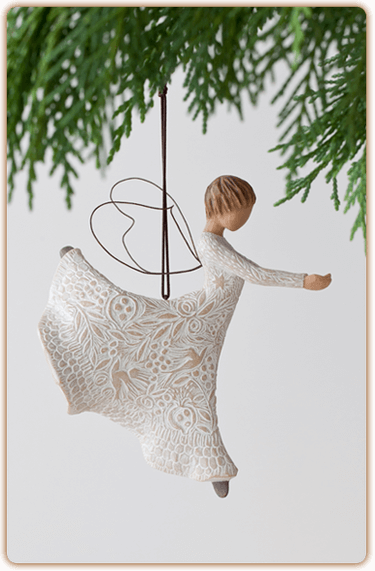 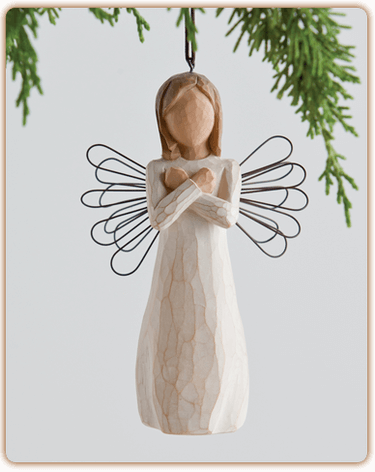 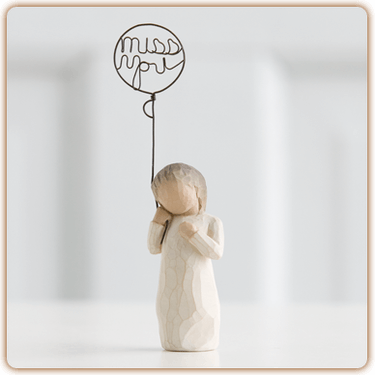 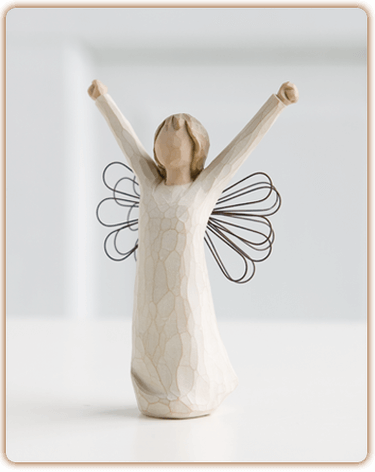 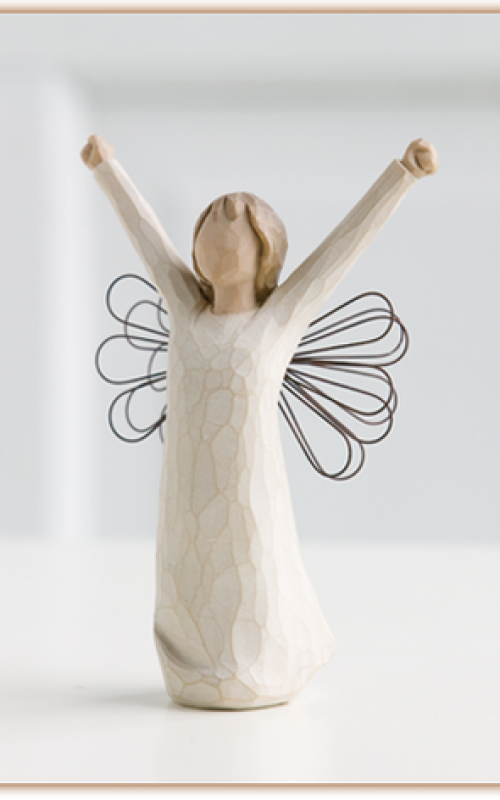 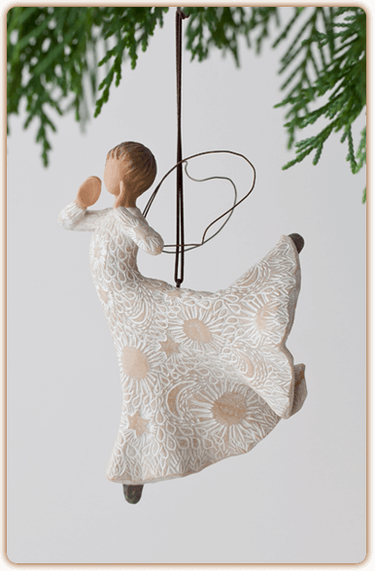 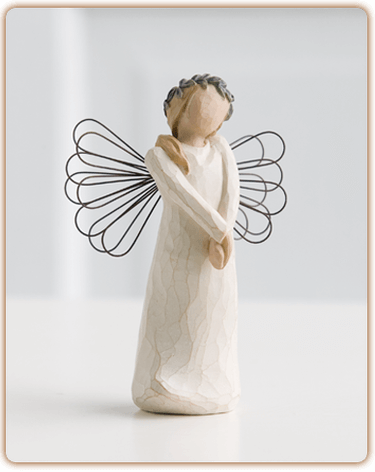 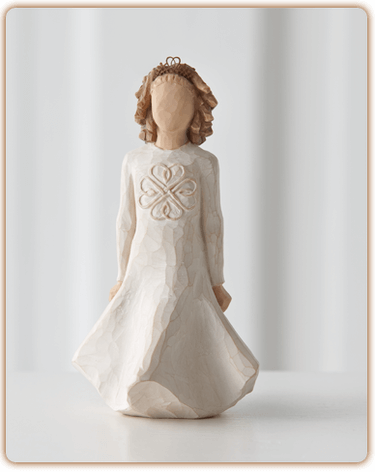 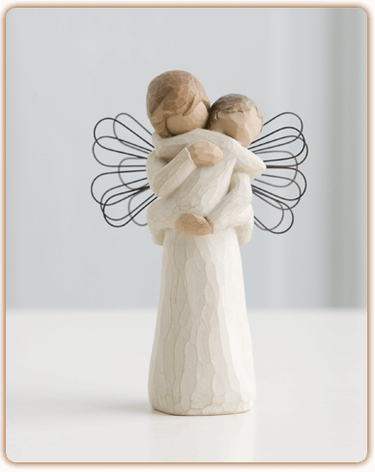 Whether you are expressing love and thanks to a loved one or displaying your nativity during Christmas time, the Willow Tree angels are great for all occasions. 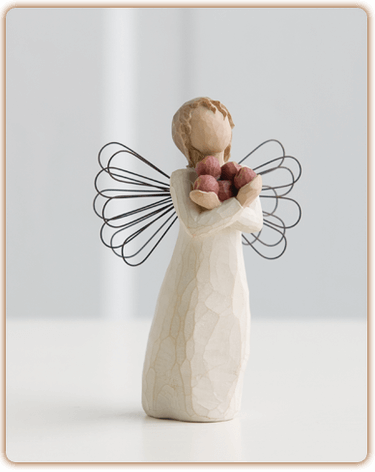 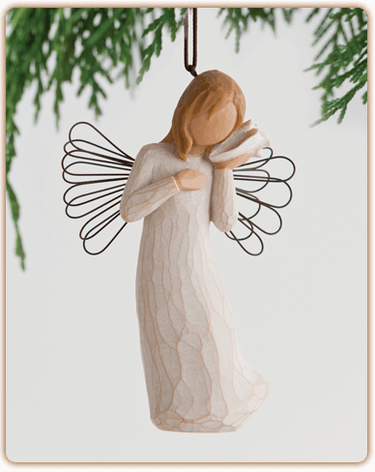 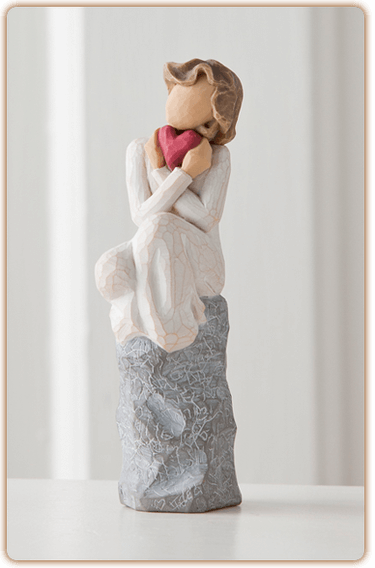 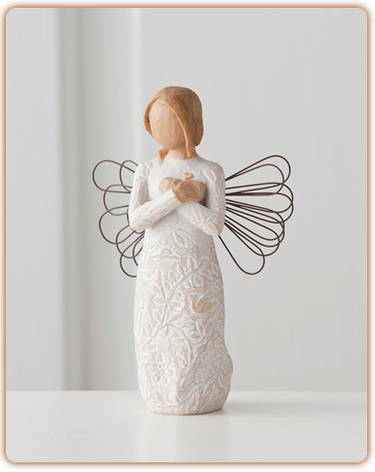 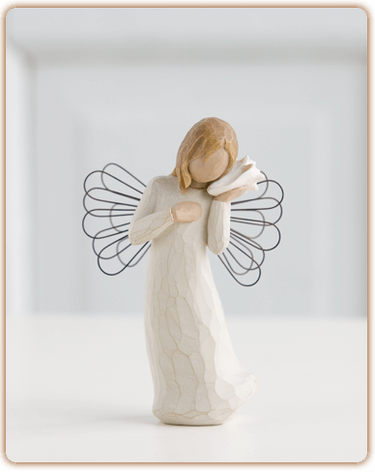 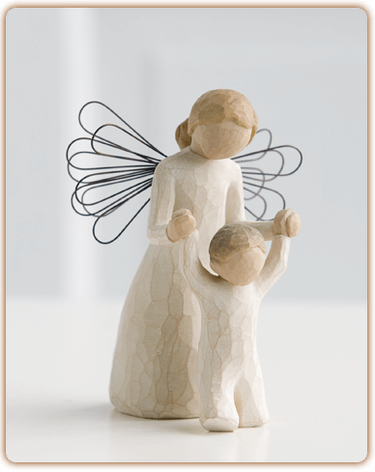 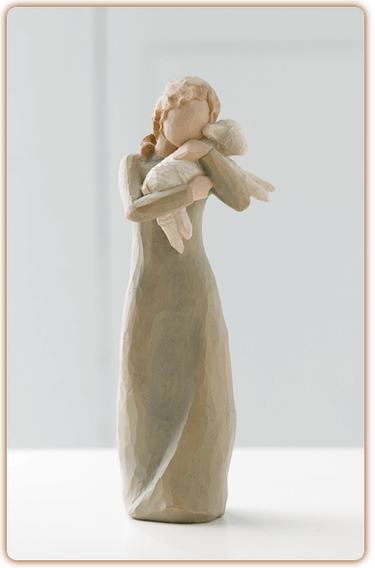 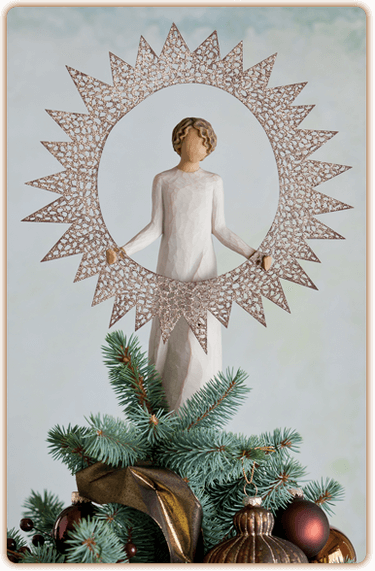 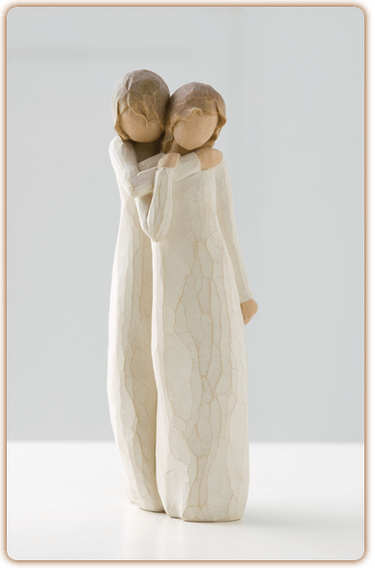 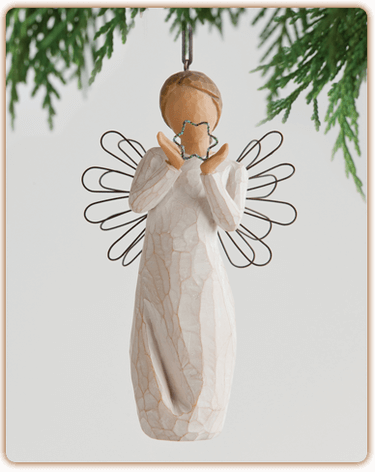 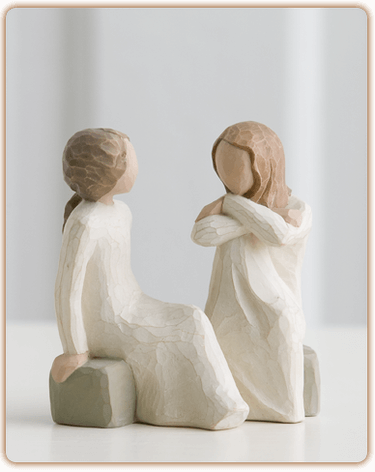 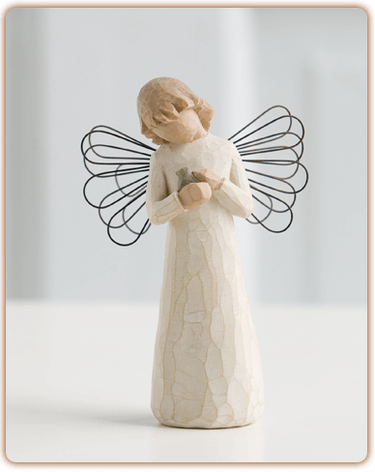 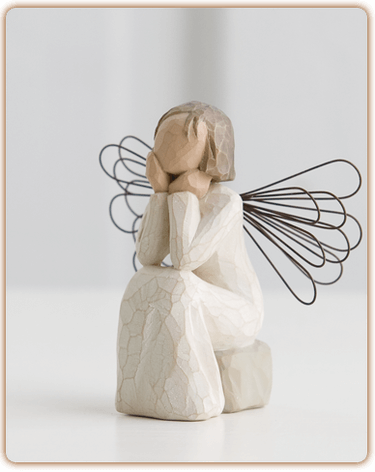 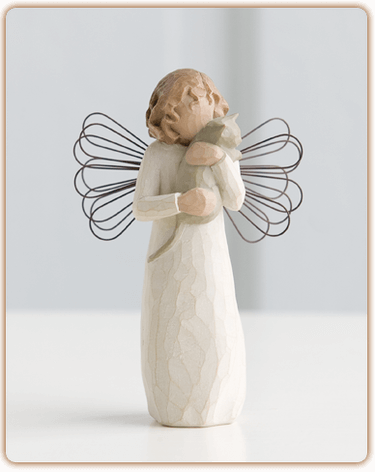 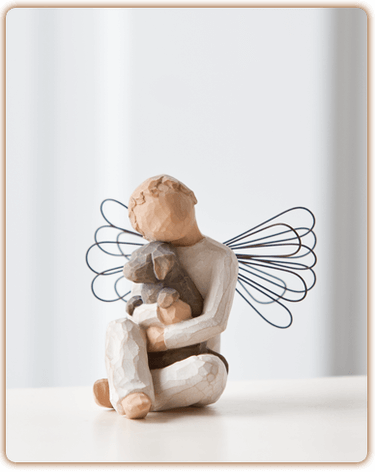 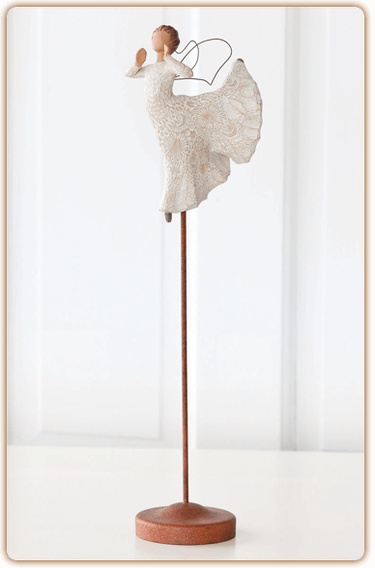 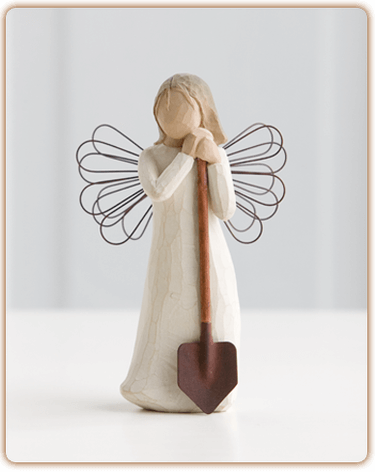 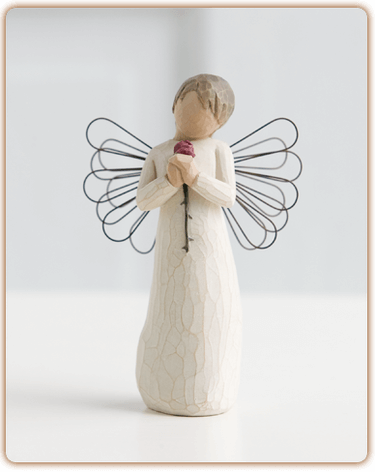 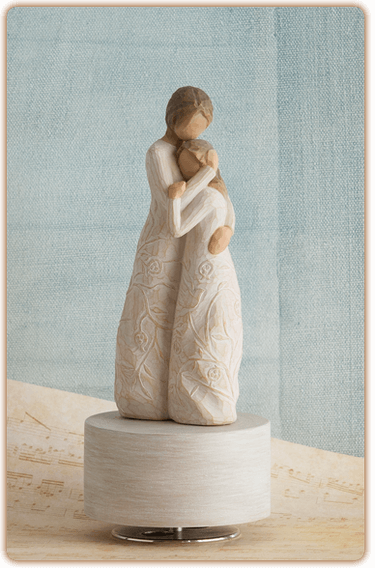 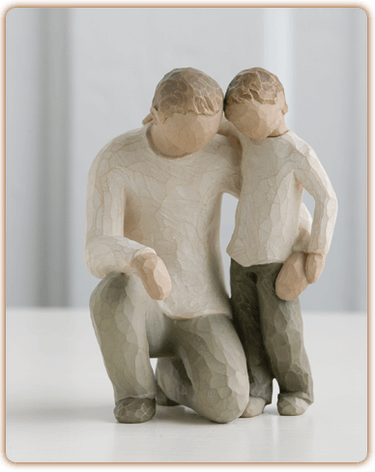 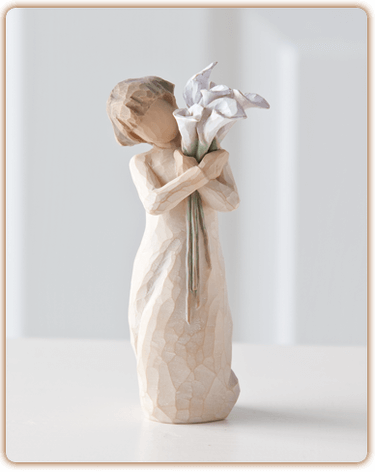 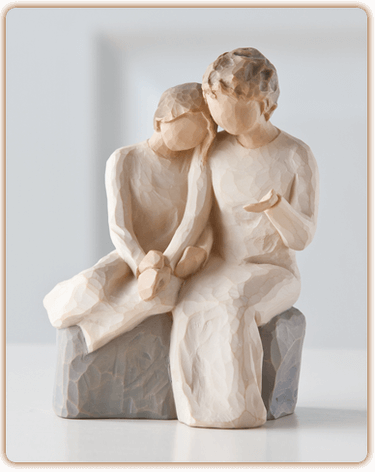 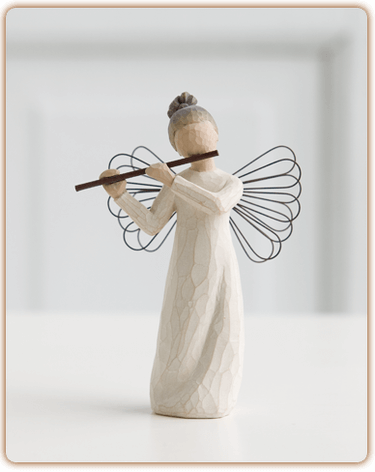 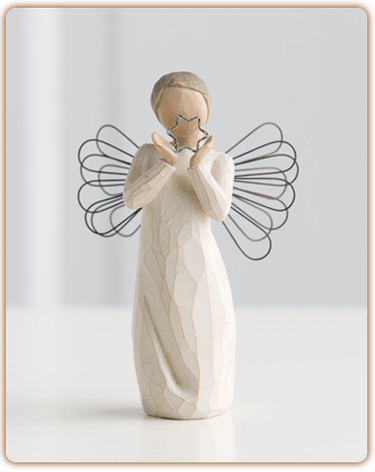 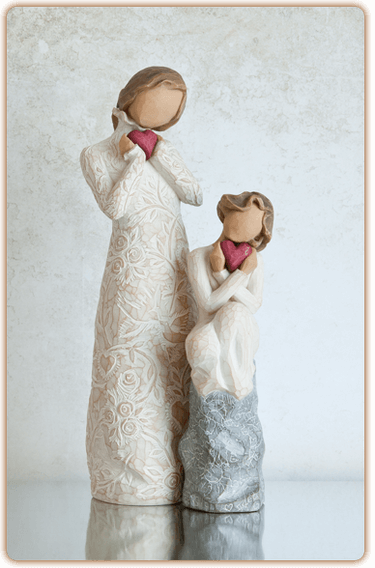 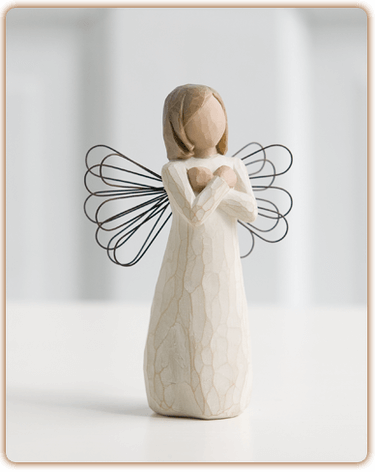 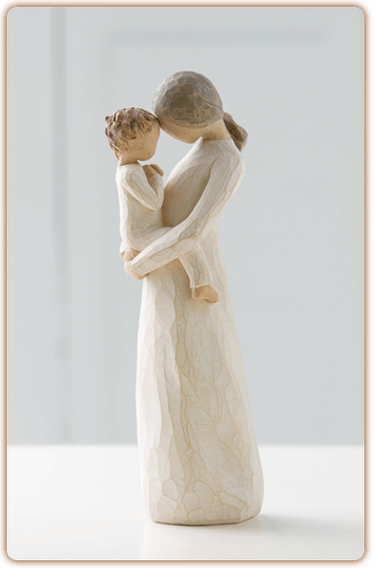 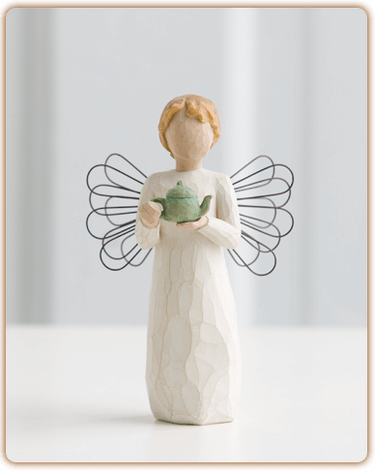 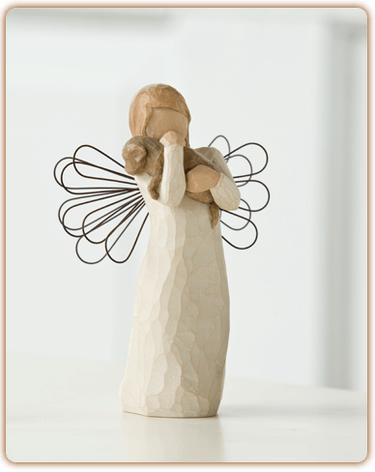 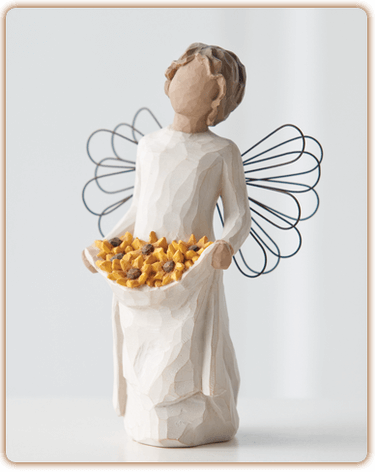 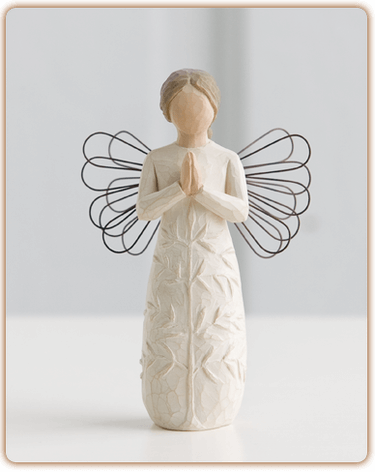 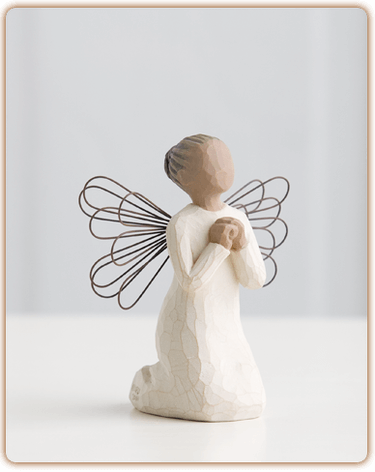 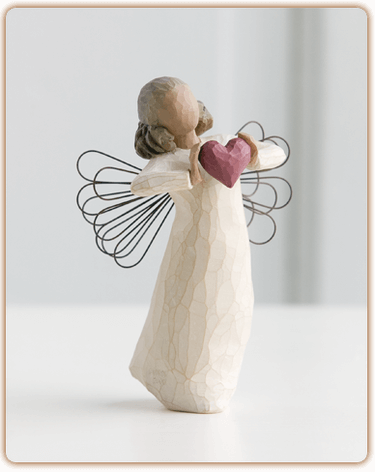 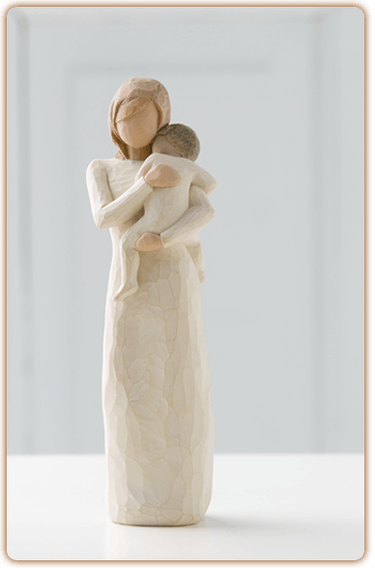 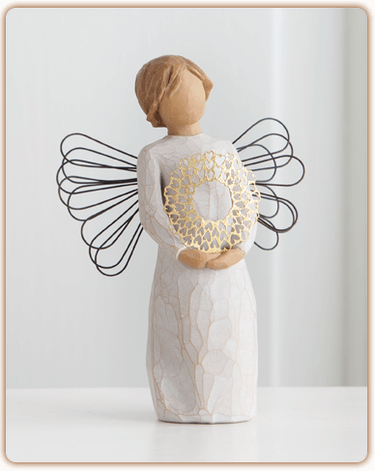 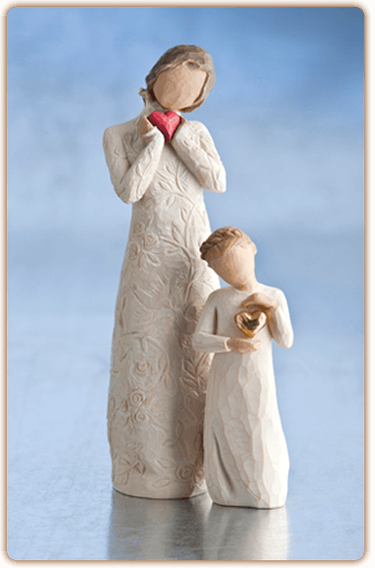 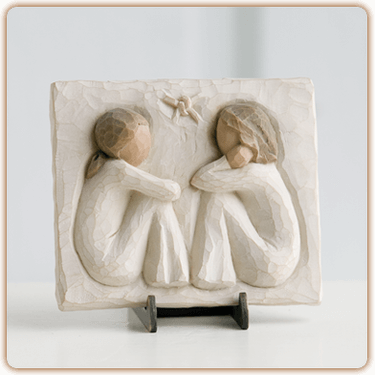 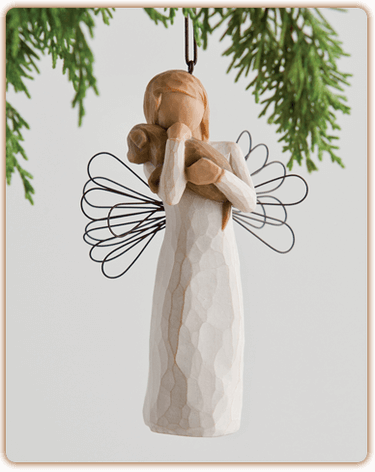 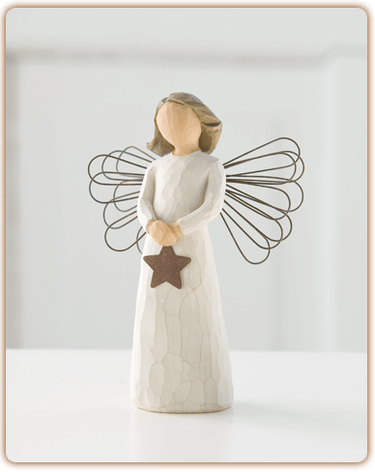 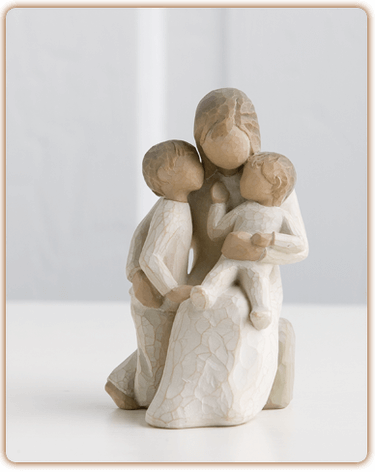 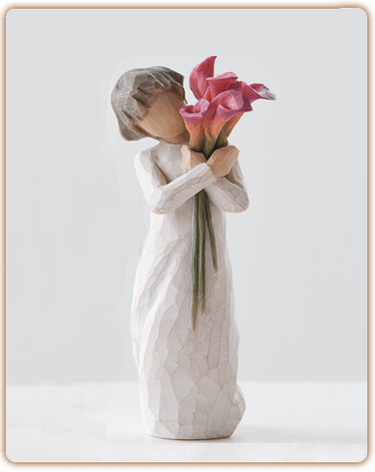 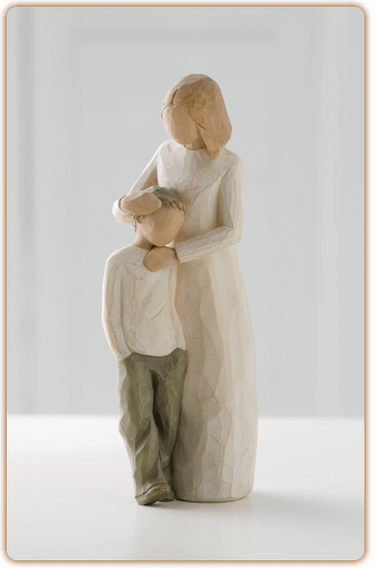 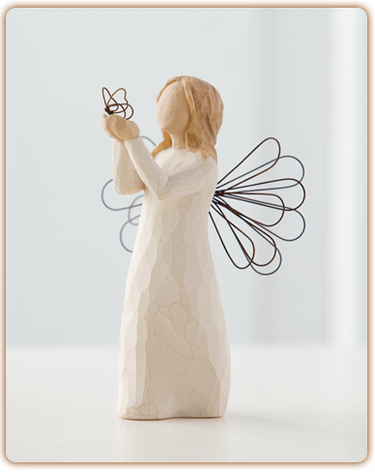 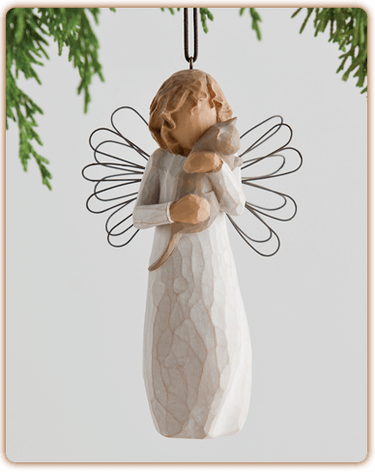 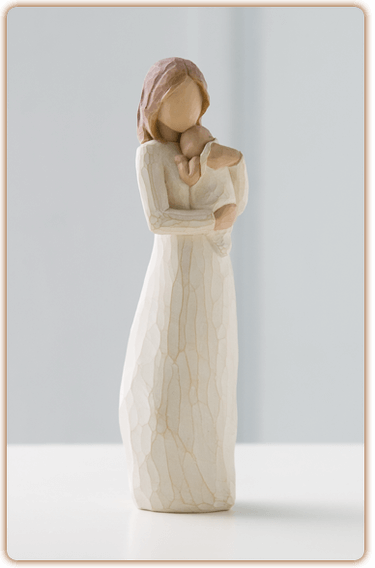 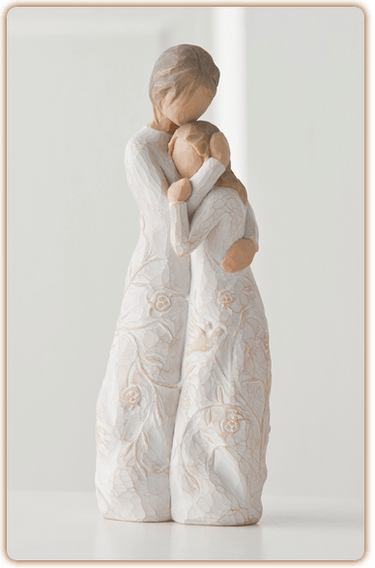 The family groupings of the Willow Tree angels are a great way to display the love of your family in your home. 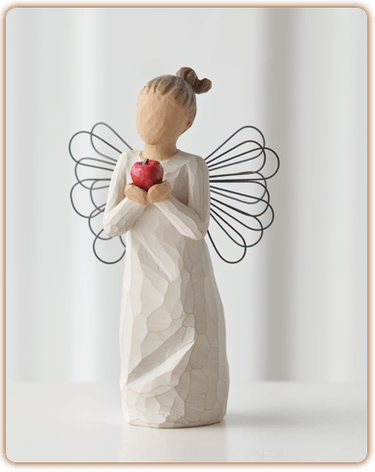 Come check out the Willow Tree angels at Ace of Gray! 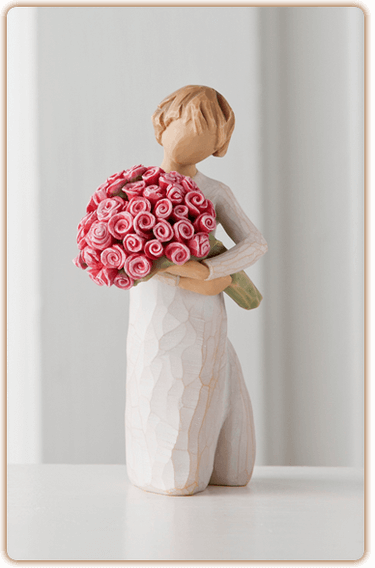 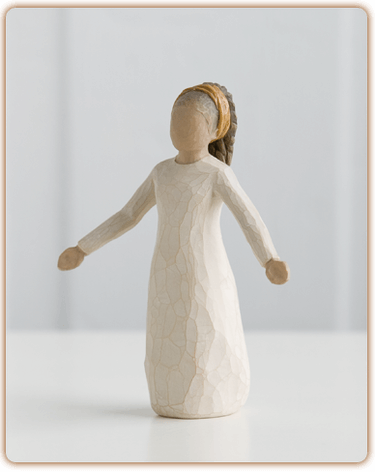 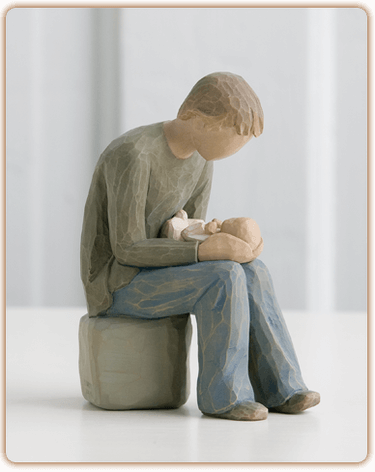 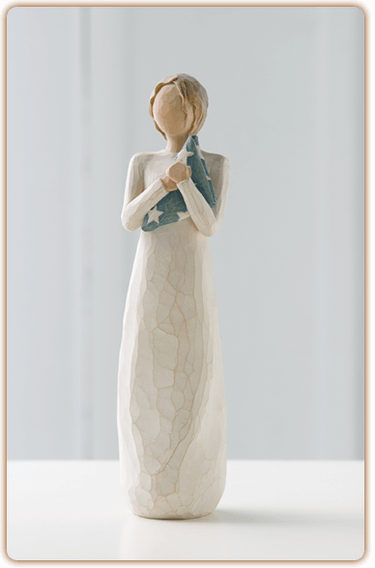 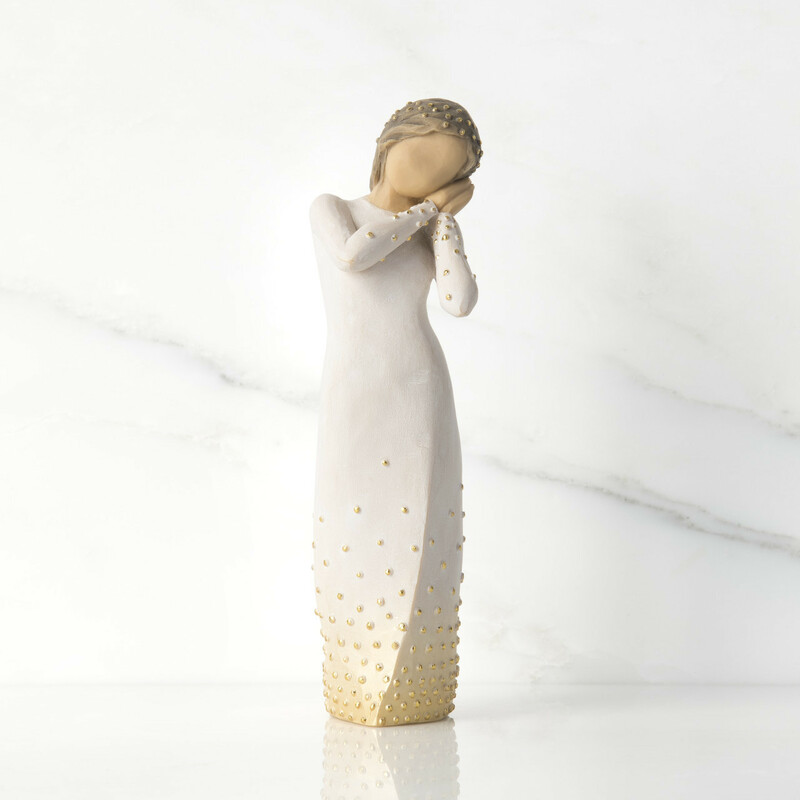 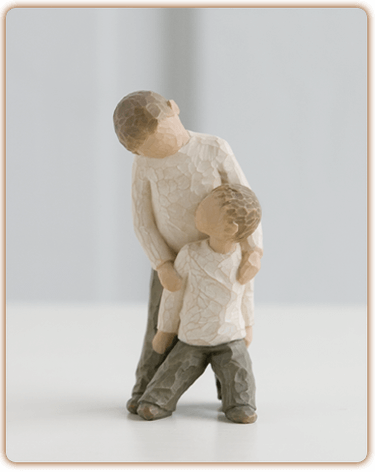 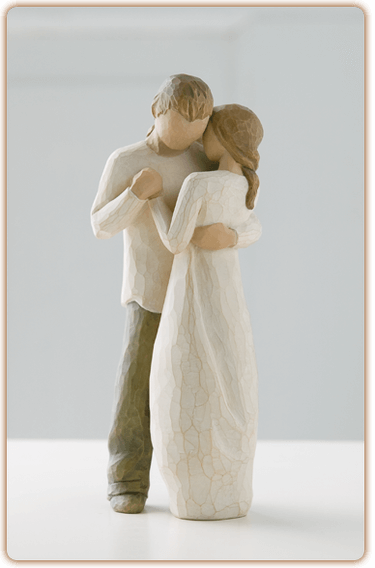 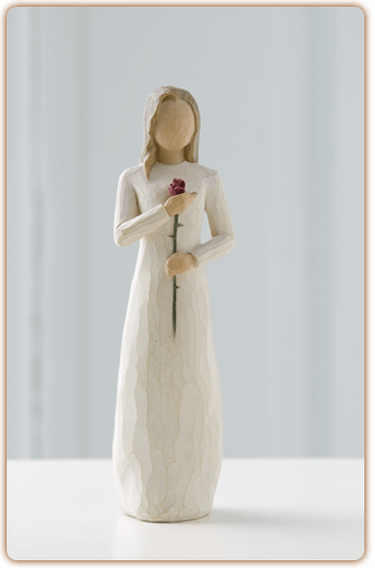 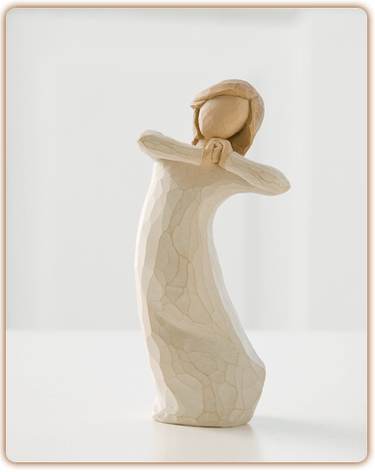 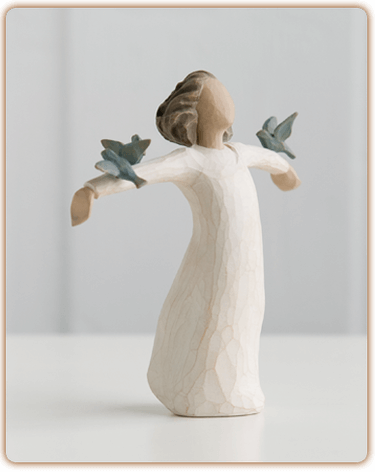 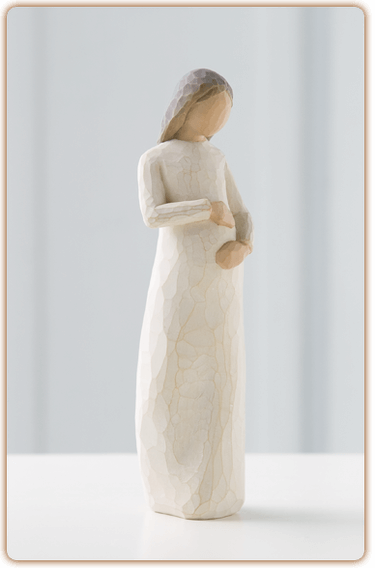 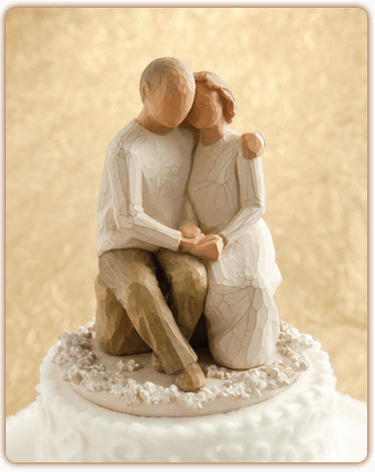 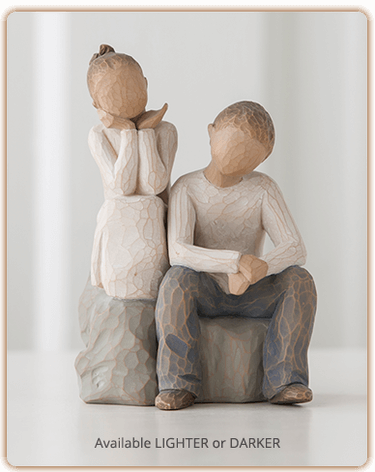 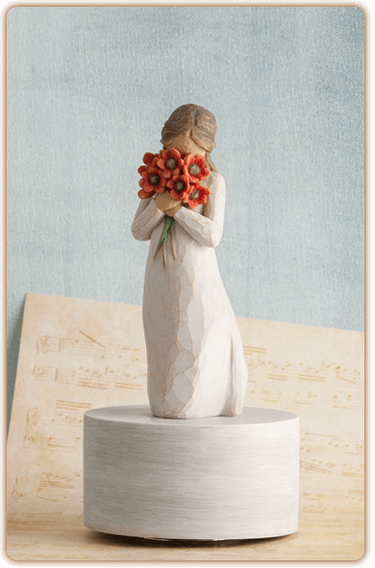 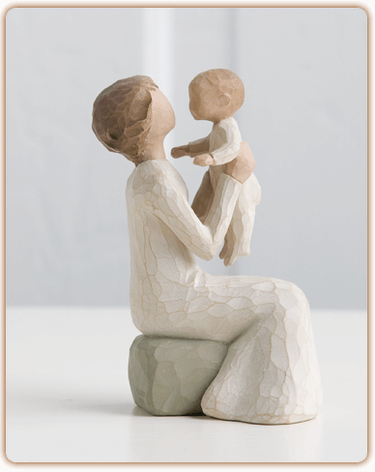 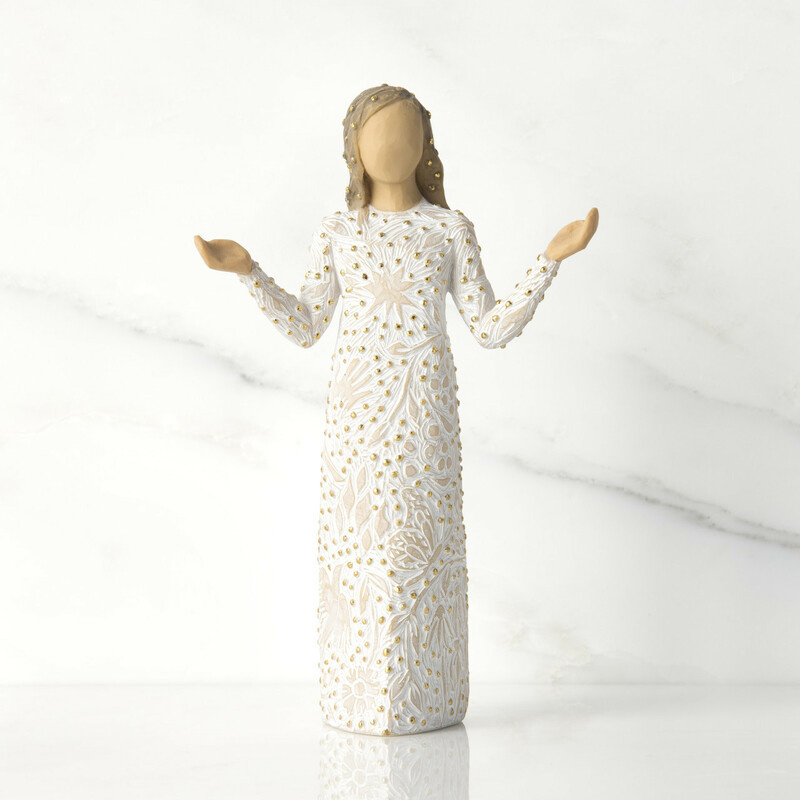 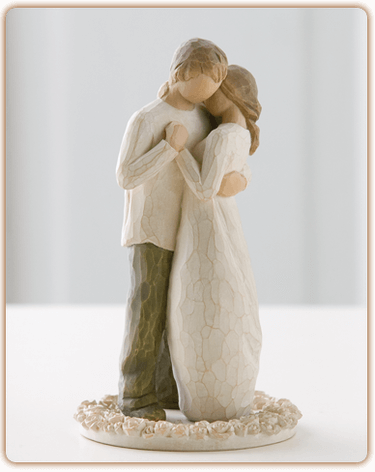 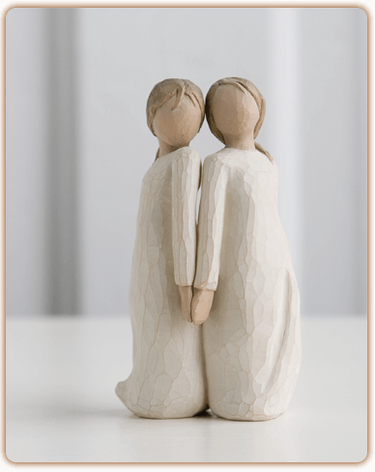 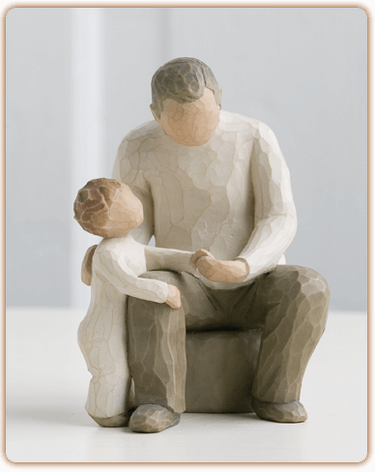 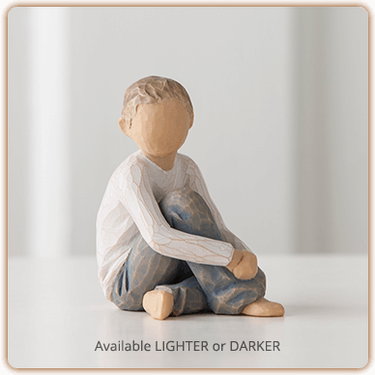 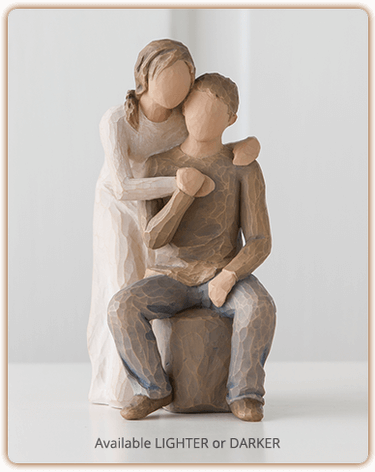 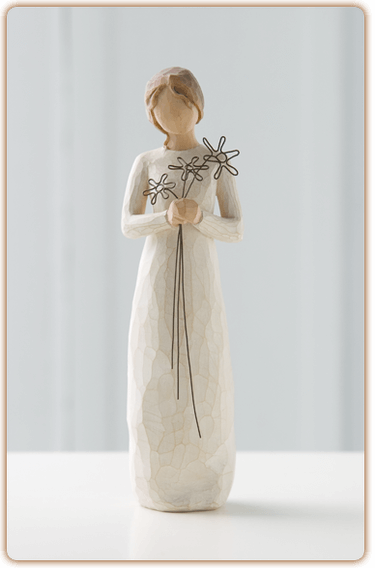 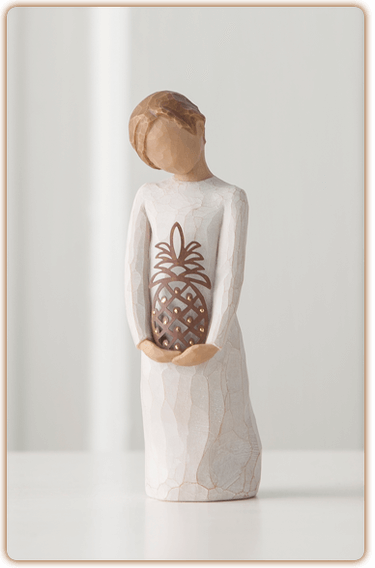 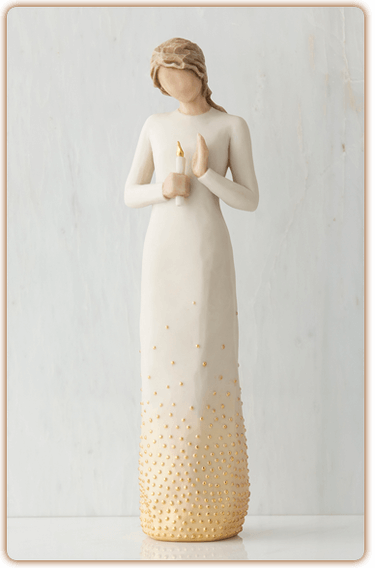 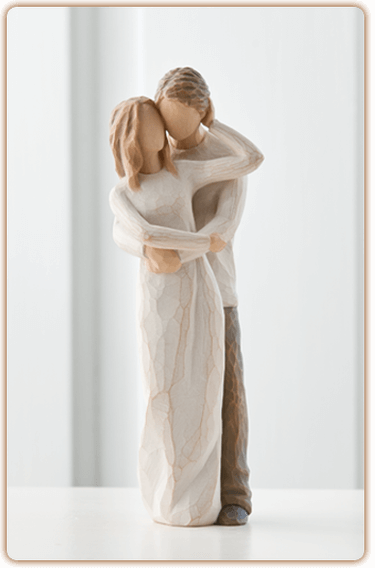 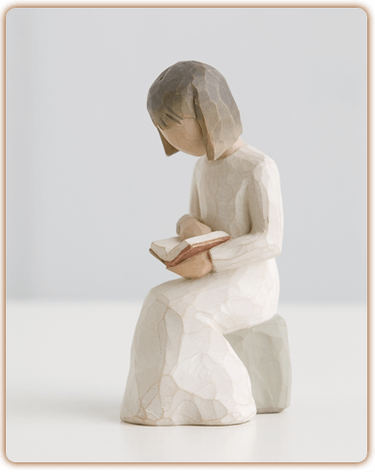 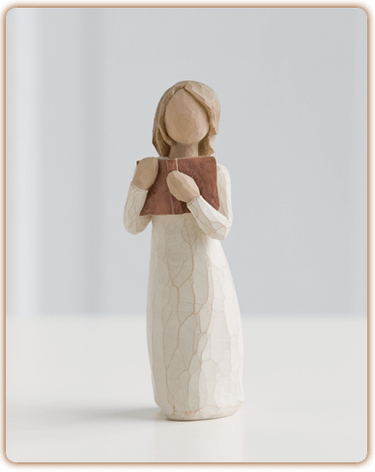 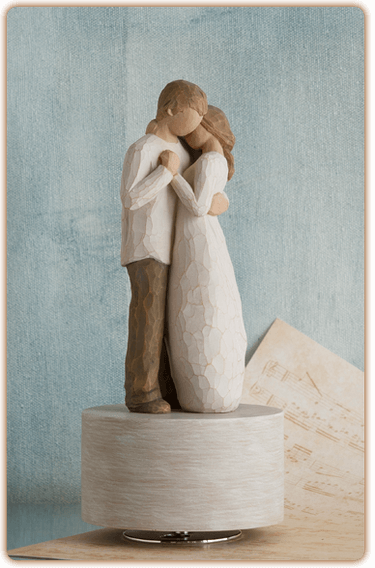 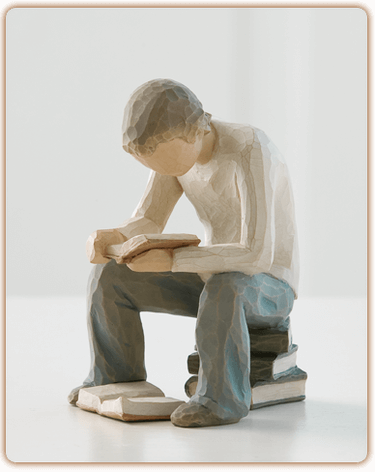 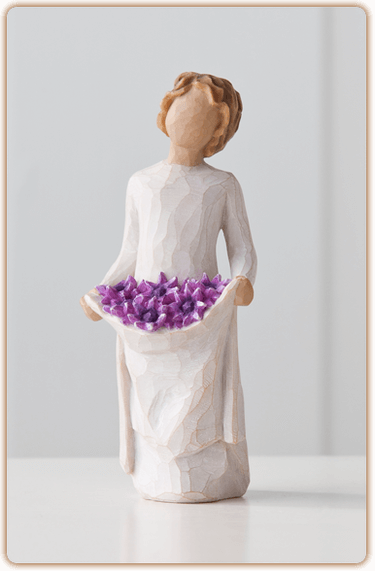 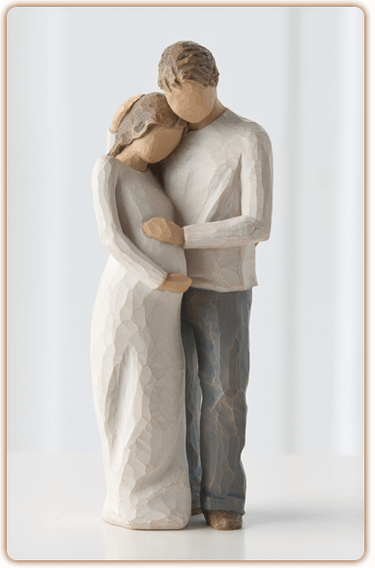 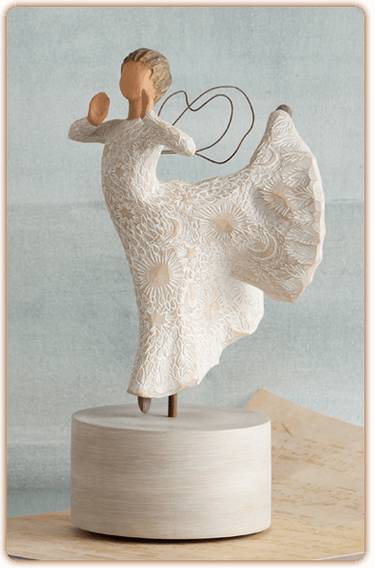 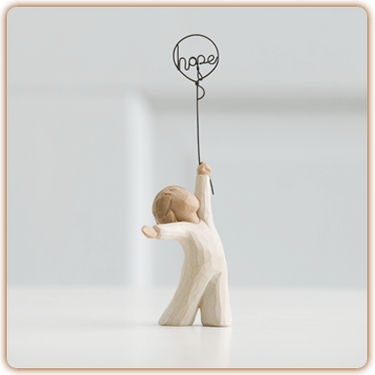 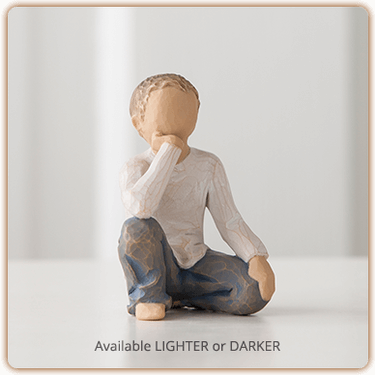 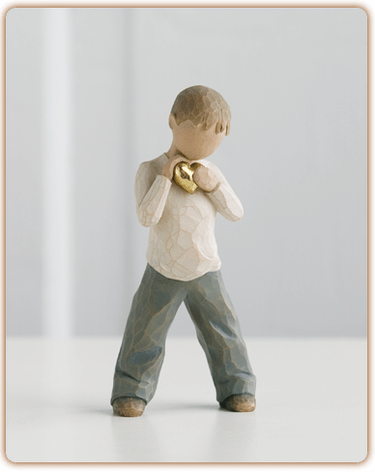 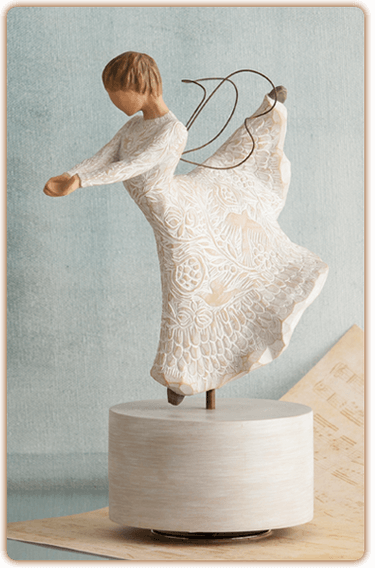 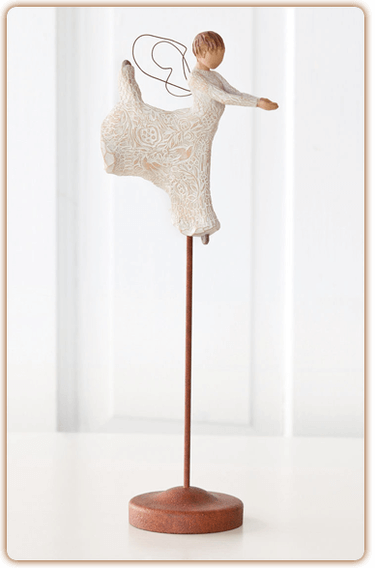 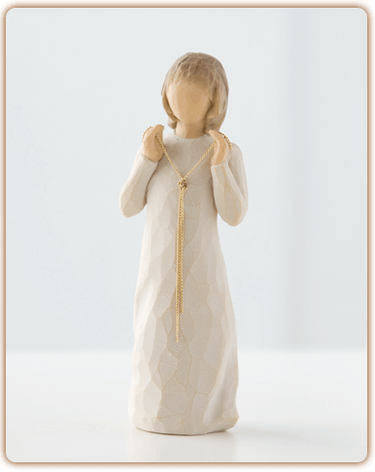 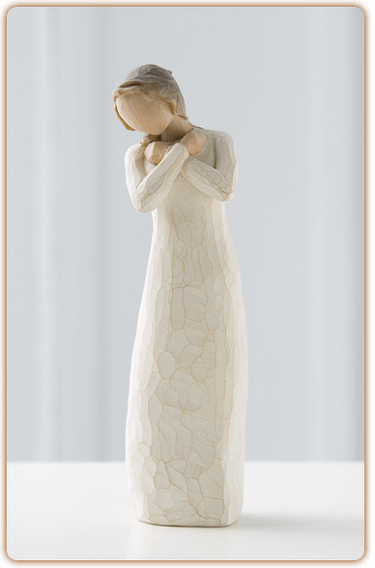 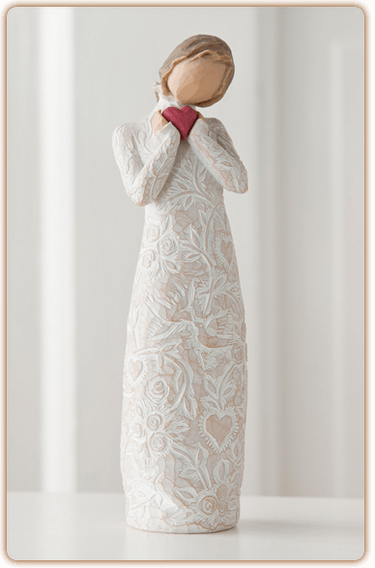 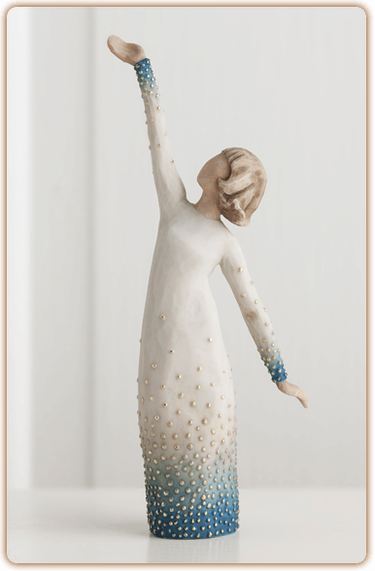 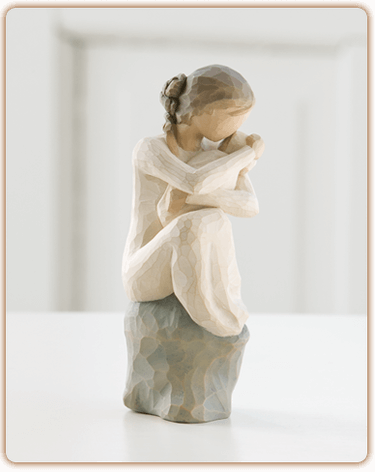 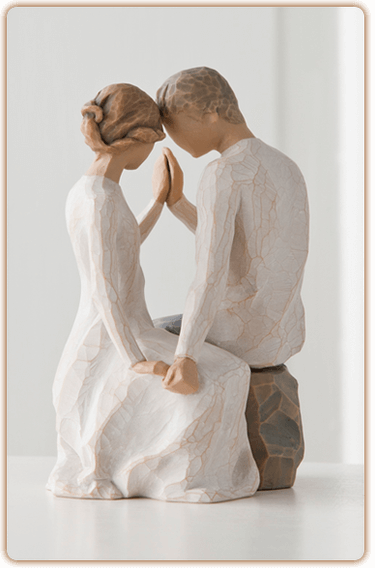 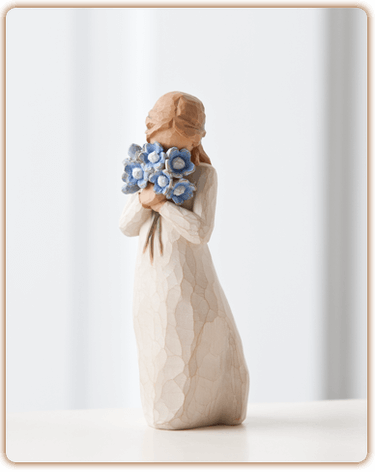 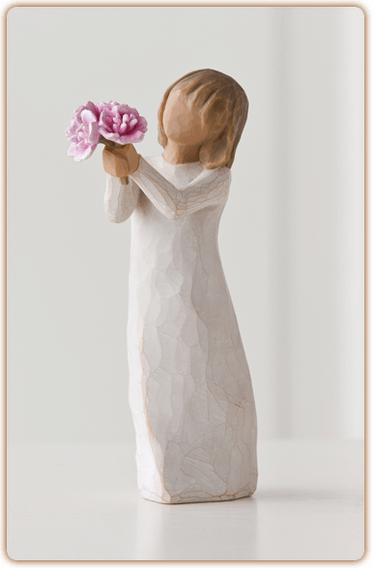 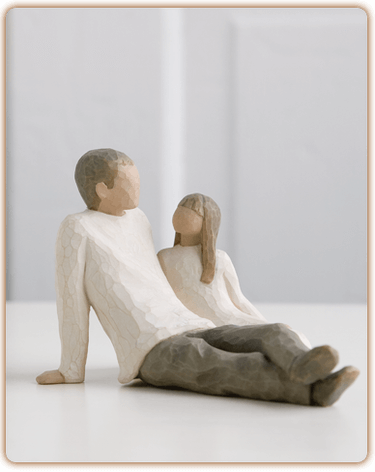 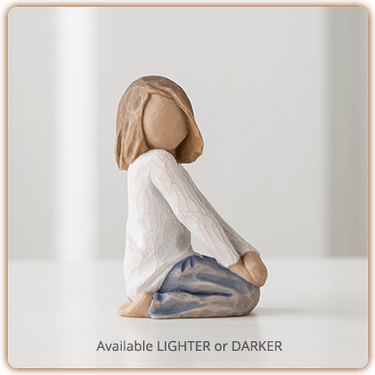 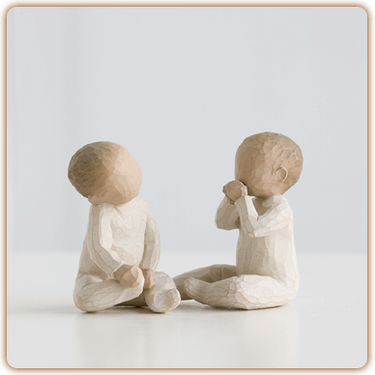 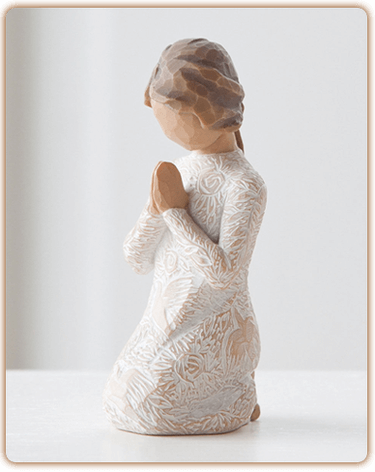 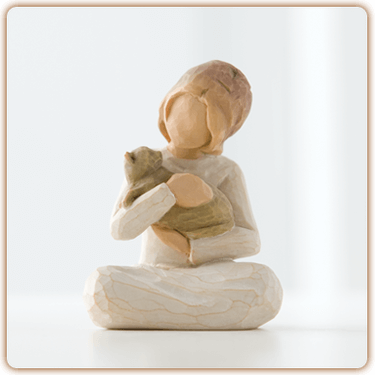 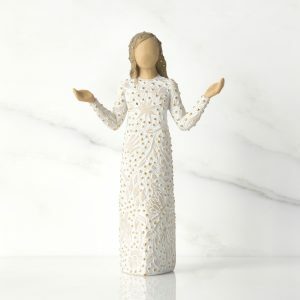 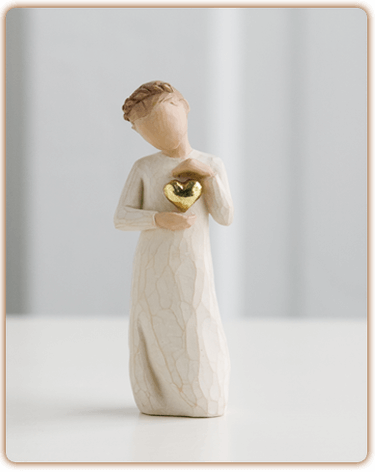 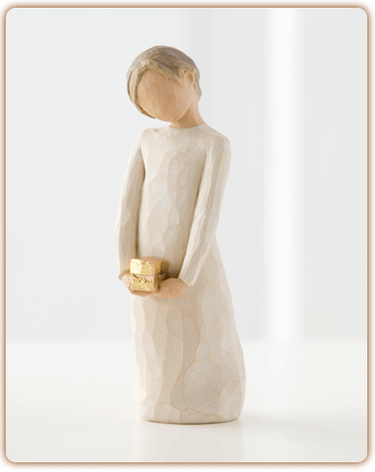 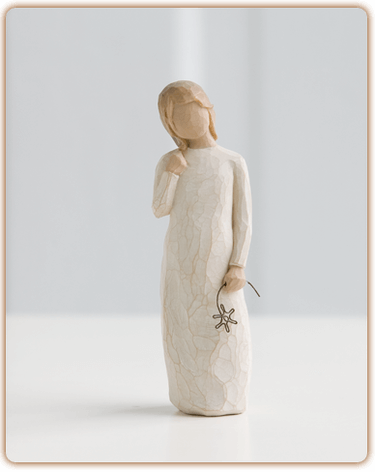 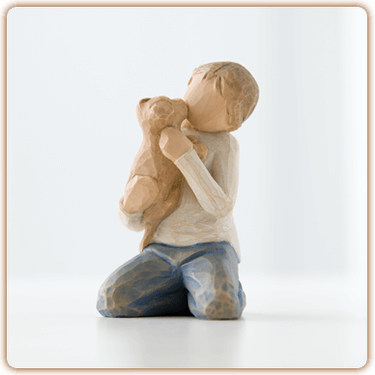 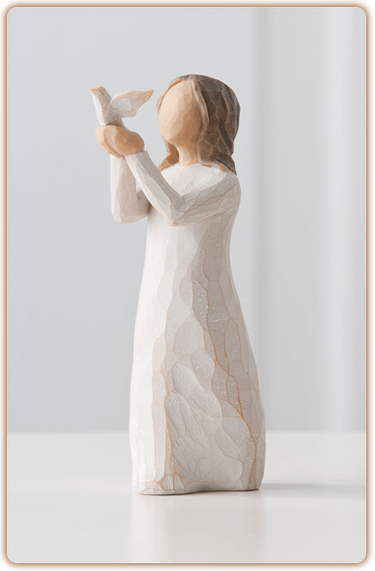 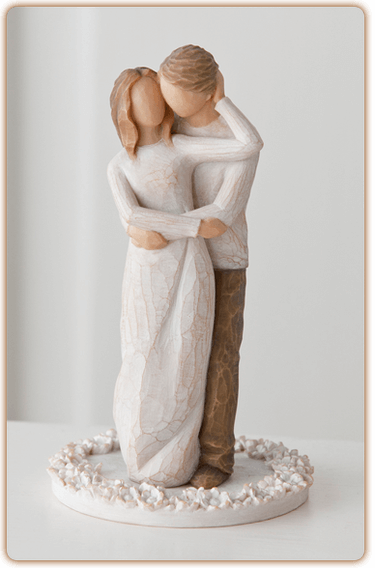 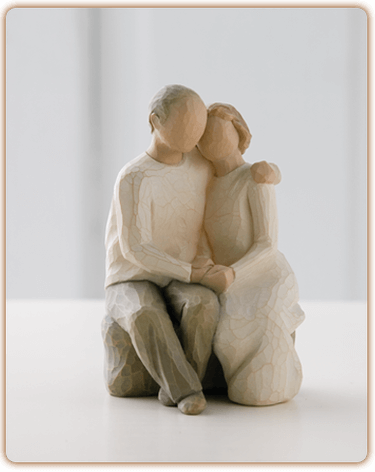 New Willow Tree Figurines added in 2019! 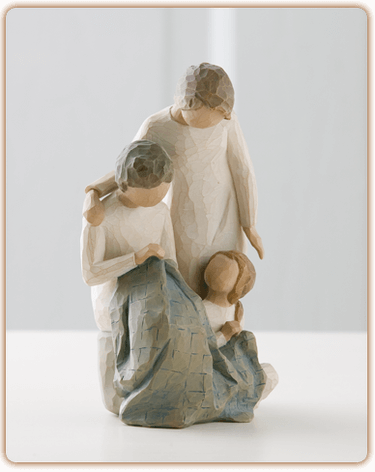 The Gift Shop at Ace of Gray carries the complete nativity set from Willow Tree. 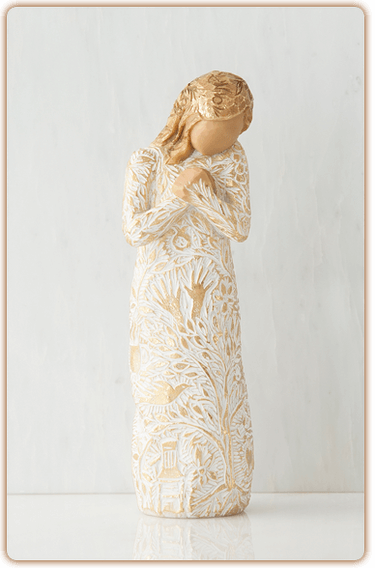 This is a beautifully handcrafted set, and is a great way to display the nativity during the Christmas season in your home. 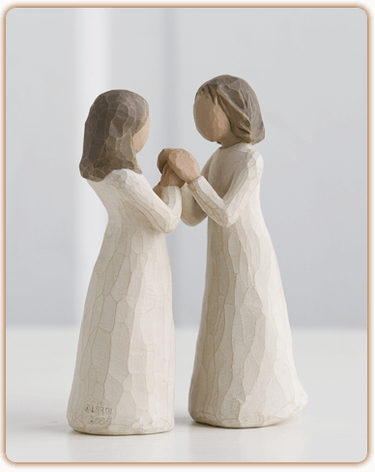 The Gift Shop at Ace of Gray also carries pieces of the family groupings. 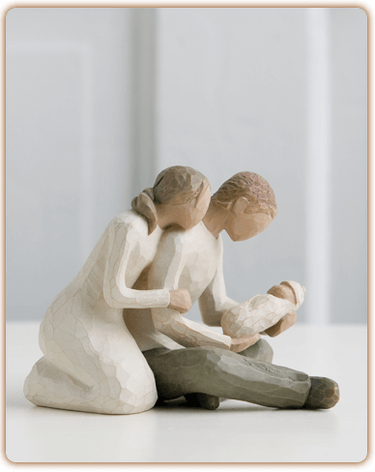 Family groupings are a unique way to portray your family and to put pieces together that really portray the love of your family. 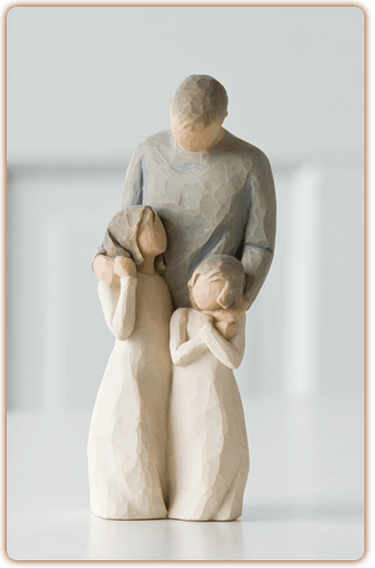 Each family is unique and these pieces give a great opportunity for families to find the pieces that represent them the most and put those together. 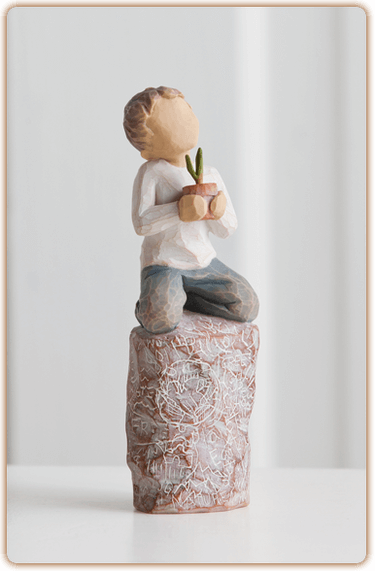 Come check it out at Ace of Gray! 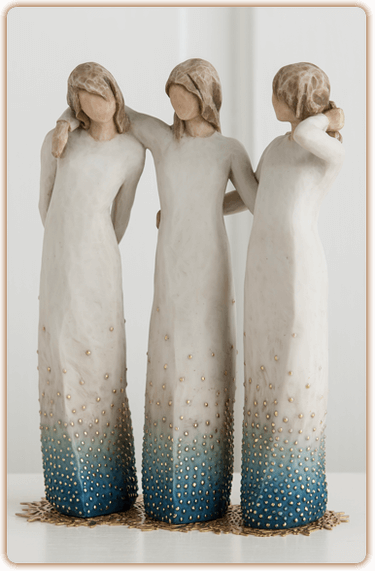 Susan Lordi has spent years working with art and sculpture. 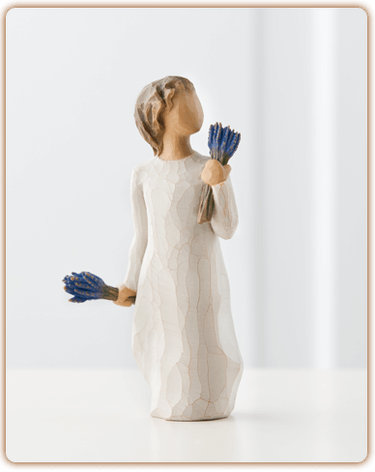 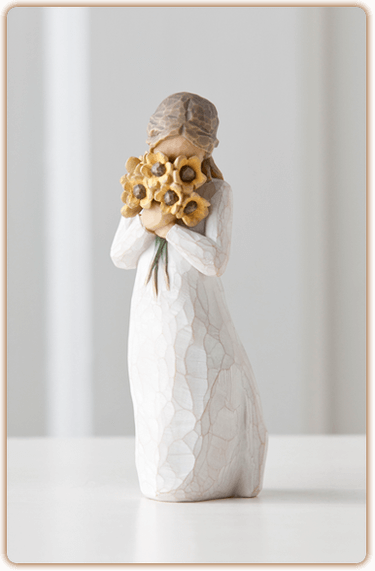 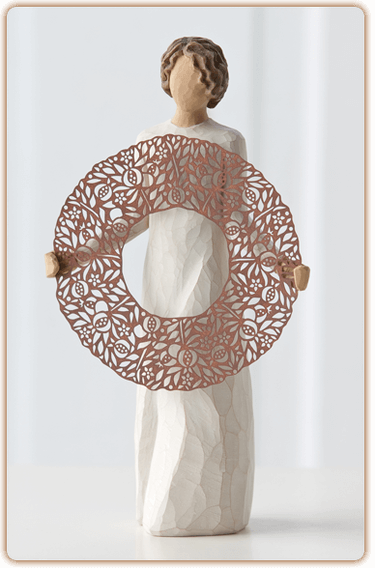 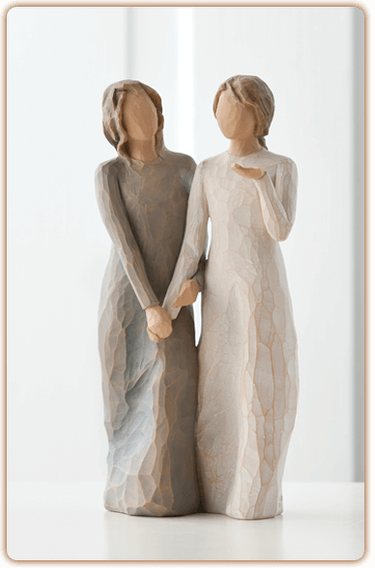 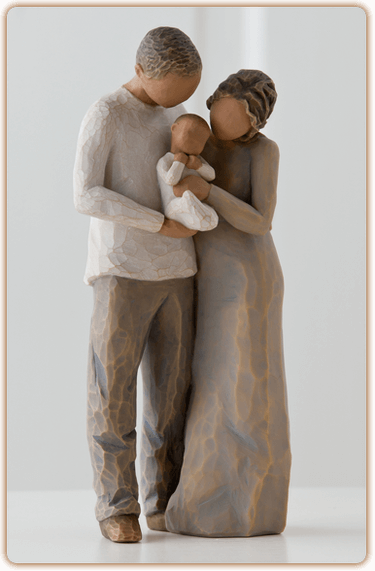 She is well-known for her work with Willow Tree, where she portrays emotion and reflects our relationships with others through handcrafted sculptures.